Soft pastel florals bloom on this lightweight long-sleeve top. Soft pastel florals bloom on this lightweight long-sleeve top. 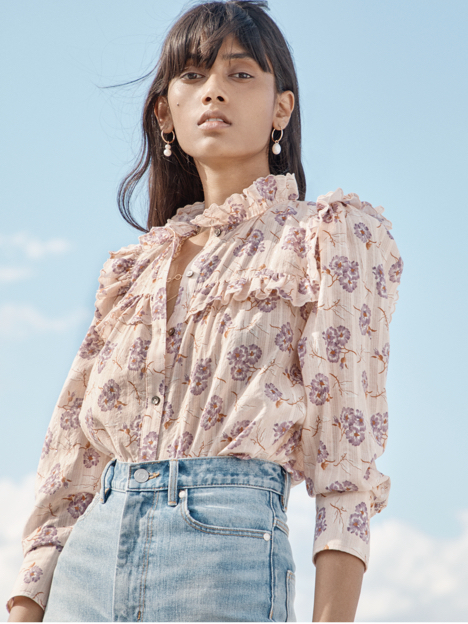 Trimmed with ruffles and metallic accents, its button-up silhouette lends a nostalgic mood to your favorite denim.